Newfoundland television stations have produced and presented thousands of hours of local music, comedy, drama and documentary. Those shows reached wide audiences in the province and across Canada, and provided experience and employment to hundreds of performers, writers, producers and technicians. Much of the work was conceived and produced by "in-house" crews, and for many years local television offered few opportunities to independent filmmakers. But in the last decade CBC Television and the local NTV station have been more active in working with outside producers. The emergence of several new Canadian TV networks has also helped make television an important venue and source of funding for Newfoundland filmmakers. 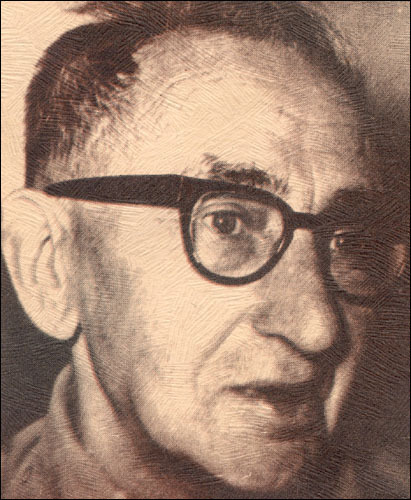 Newfoundland television began when CJON started broadcasting in 1955. The Canadian Broadcasting Corporation followed by opening outlets in Corner Brook (CBYT) in 1959 and St. John's (CBNT) in 1964. The stations provided local news and information and programs from outside the province. They also tapped into the surrounding community to televise drama, comedy, music, documentaries, quiz shows, talk shows, and children's programs; everything from talent competitions to teenage dance parties. The first drama filmed for Newfoundland television was an adaptation of Ted Russell's The Holdin' Ground, broadcast by CJON in 1959. The station also recorded occasional specials and documentaries, including a performance by Bob Hope at Argentia. Ted Russell's play The Holdin' Ground was broadcast by CJON in 1959. Reproduced by permission of Elizabeth Miller. From The Life and Times of Ted Russell. The first local entertainment series to make a significant breakthrough with audiences was the CBC's All Around The Circle, which ran from 1967 to 1979 and helped make singers like John White and Joan Morrissey household names in the province. Produced in St. John's, the show focused almost exclusively on Newfoundland music and performers, reflecting a mandate that would guide local CBC programming for decades to come. In the 1970s and 1980s CBC production expanded rapidly to include many specials and series featuring local music and comedy. Popular singers like Eddy Eastman and Jacinta Cormier appeared frequently, as did countless other musicians, actors, community groups and child performers. Several of Newfoundland's most popular television and film personalities began their careers during this era. Greg Malone and Mary Walsh wrote and performed in a six-part show called The Root Seller (1978). Malone and Tommy Sexton were regulars on Wonderful Grand Band (also starring top musicians like Sandy Morris and Ron Hynes), which created over 40 half-hour episodes between 1980 and 1983. Several episodes of Wonderful Grand Band aired nationally on CBC television, as did Ryan's Fancy, a series that began in 1972 featuring the popular traditional band of the same name. Besides taping segments of the show in the St. John's studio, Ryan's Fancy took film crews to communities across Newfoundland and the Maritimes to record traditional singers and musicians for guest appearances. Memorable dramatic productions done by the CBC included As Loved Our Fathers (1976), a play by Tom Cahill, Cornerstone Of Empire (1983), an award winning drama about Sir Humphrey Gilbert's voyage to the island, and Pigeon Inlet Chronicles, a series adapted from the folk tales of Ted Russell. Pigeon Inlet was a popular Newfoundland television program in the 1980s. (Back row l - r): Ted Hanley, Rosemary Dawson. (Front row l - r): Kevin Noble, Canon Earle. Reproduced by permission of CBC Television, St. John's, NL. NTV also increased its output during the 1970s and 1980s, producing entertainment specials like Some Slick and The Bob Lambert Music Special as well as the Sons Of Erin music series. The station also adapted popular plays such as Hold Fast, Daddy What's A Train and the annual revues presented by Rising Tide Theatre (which would later move to the CBC). Its documentary work included the award-winning Dark Harvest (1991), a chronicle of the sexual abuse scandal at the Mount Cashel orphanage that was carried on the CTV national network. Meanwhile, the CBC was compiling a large catalogue of documentary work. Beginning in 1964, Land & Sea travelled all over Newfoundland and Labrador to find stories about natural resources and the people who make their living from them. New episodes were still being produced in 2000, making the Land & Sea archive an invaluable history of the social, cultural and economic life of the province. Another long-running series was current affairs program On Camera. The CBC also produced many single-episode documentaries and short run series. Some, such as the historical series Where Once They Stood, aired nationally. The year 1986 marked a turning point for Newfoundland television as CODCO made its debut. The CODCO comedy troupe had created several popular stage shows between 1973 and 1976. A decade later the television series reunited five members of the troupe: Andy Jones, Cathy Jones, Greg Malone, Tommy Sexton and Mary Walsh. After two years on regional television the show was added to the national CBC schedule, where it spent five seasons. Though produced in Halifax, it retained a distinctly Newfoundland flavour. 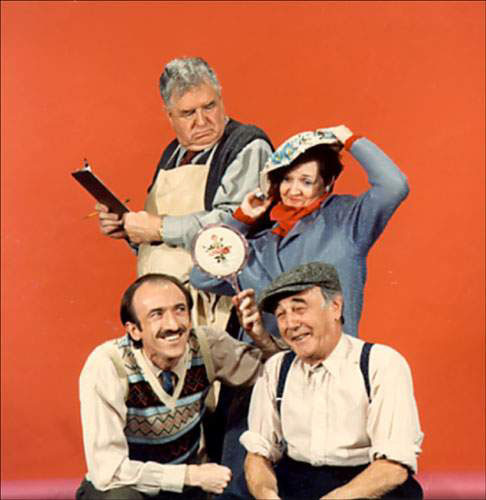 CODCO won numerous awards, set new standards for television comedy, helped redefine Canadian perceptions of Newfoundland and won new respect for performers in the province. With the exception of Tommy Sexton, who died in 1994, the members of CODCO remain prominent in Canadian film and television. Walsh and Cathy Jones teamed up with another pair of Newfoundlanders, Rick Mercer and Greg Thomey, to create This Hour Has 22 Minutes, a newsmagazine satire that is currently among Canada's most popular television series. Jones and Malone have both acted and directed. Staff and budget cutbacks have slowed the pace of local CBC production since the late 1980s. The music and variety tradition continued with All Of A Saturday Night and Wicked Night Out, two series that focused on a new generation of entertainers. Holiday programs and other specials also appeared and there were several ambitious documentaries, including Ancient, Wild and Beautiful (1999), a two-hour history of Newfoundland music. But the overall volume of production was down considerably from previous decades. With fewer internal resources, CBC Newfoundland began turning to outside producers and directors more frequently. Co-productions with independent filmmakers included several variety specials under the name Fresh Fish and short dramas such as The Hall Trilogy (1992), a series of three one-act plays adapted for television. More independently produced documentaries were televised. NTV has also turned to more independently produced work, such as the children's drama The Elf (1996) and Untold Story (1999), a film that combines dramatic and documentary techniques to recreate the Newfoundland women's suffrage movement. NTV continues to air a variety of local documentaries, educational programs and travel shows. Untold Story is a film that combines dramatic and documentary techniques to recreate the Newfoundland women's suffrage movement. Reproduced by permission of Marian White. Over the last ten years stories written and produced by Newfoundlanders have made a greater claim on national TV audiences. The most successful television film associated with the province may be The Boys of St. Vincent, a three-hour drama carried by the CBC network in 1993. It tells the story of sexual abuse at a church-run orphanage in St. John's and the investigation that uncovers the crimes fifteen years later. Produced in Newfoundland and Quebec, it was one of the most successful Canadian television projects of the decade, winning awards and critical acclaim in Canada and the U.S.
Newfoundland comedy has appeared regularly on the CBC national network. Gullage's, a 13-part series revolving around the characters at a St. John's taxi stand, was produced in 1996 and 1997. A ramshackle local rink is the setting for Dooley Gardens, which aired in six episodes in 1999. Extraordinary Visitor, John Doyle's feature film about John the Baptist's visit to the province, was televised in 1998. In 2000 work began on Random Passage, a miniseries based on the novels of Newfoundland writer Bernice Morgan. It's a co-production between companies in St. John's, Quebec and Ireland and will be shown on the CBC network in eight one-hour episodes in the fall of 2001. Random Passage has been called the biggest dramatic production in the history of Canadian television. The recent proliferation of new cable television stations means more national venues for local filmmakers. Locally produced documentaries have appeared on stations such as CBC Newsworld, Vision, and the Women's Television Network. With a need for original programming and a commitment to spend money on it, other specialty networks have bought into dramatic films. The Pasta King Of The Caribbean (1998) by Sharon Cavanaugh was produced in association with Bravo! Television. The Bingo Robbers (2000), directed by Lois Brown, was made with help from The Movie Network agreed to broadcast it. The networks have become such a prominent player in the film industry that there is no longer a clear distinction between movies made for theatrical release and those made for television.